Describes how to create author publication and subject alerts so that you can receive alerts by email when an author or subject is published. 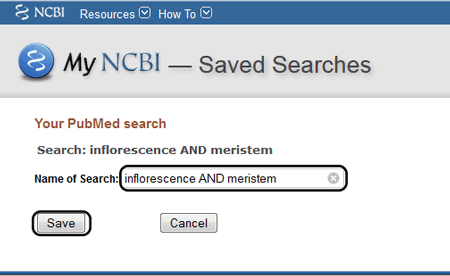 When you are signed into your myNCBI account at the home page you will see a number of boxes that contain information of interest. 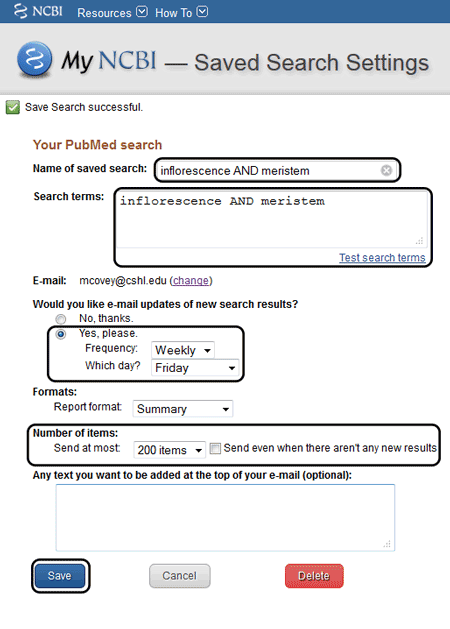 To set alerst you can click on theSearch NCBI Databases box, PubMed should be showing in the search field. 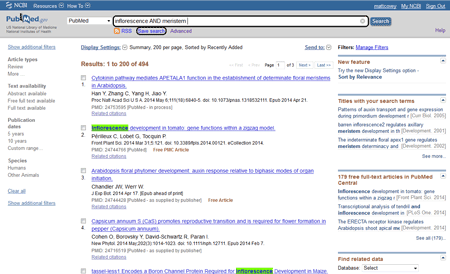 If not select PubMed from the dropdown menu window and click the Search button to go to PubMed. Select which email address you want the alert to be sent to (the default is the email address associated with the myNCBI account but you can change the address here). 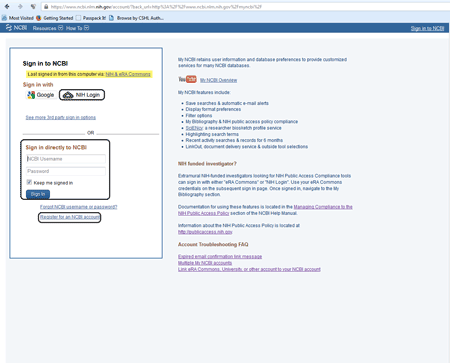 You will be directed back to your myNCBI main page. 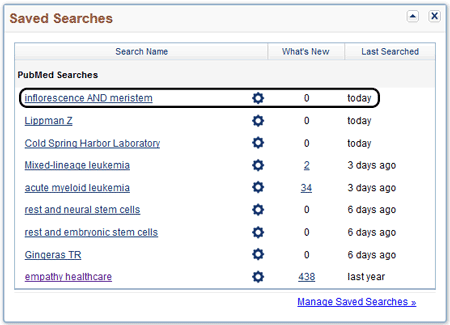 In the Saved Searches box you will see your new saved search/alert. If you click on the cog you can access the settings for each saved search/alert so you can alter them as required.